Our journey into brave new worlds of creative expression continues. 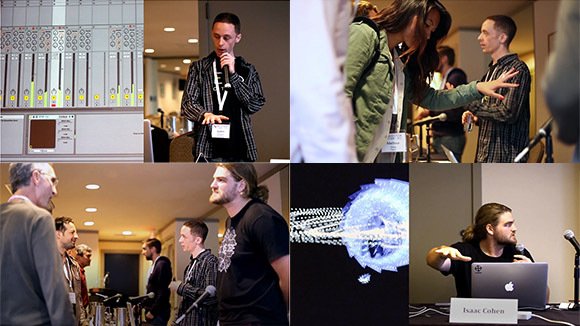 We recently joined music pioneers in San Francisco, where we pushed the boundaries of virtual instrument technology, and were thrilled to discover that a Leap Motion orchestra hack had been nominated for the MTV O Music Awards. 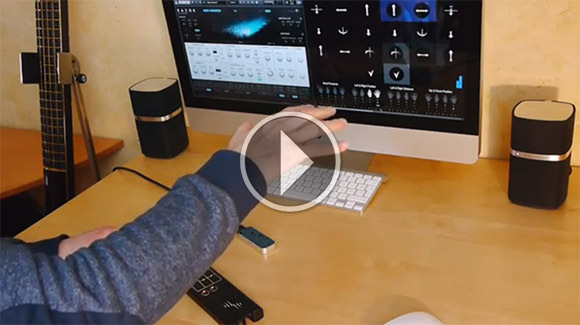 We’re always amazed at how many musicians and developers have been inspired by the possibilities of the Leap Motion Controller. Earlier this month, we joined many of these visionaries at the annual SF MusicTech Summit, which brings some of the biggest names in the music, business, and tech scene together under one roof. 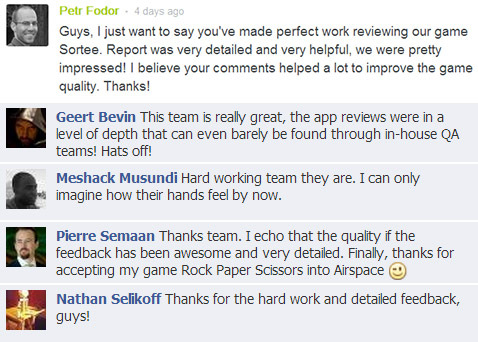 You can check out our Q&A with the App Review Team on the Leap Motion blog. 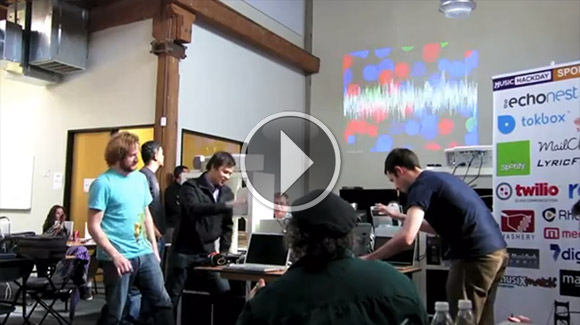 From a day-long digital music hackathon to an MTV award nomination. An orchestra hack that allows you to be a digital conductor, complete with real-time audiovisual control, has been nominated for an O Music Award. With the latest version of our SDK, we’ve released a variety of updates across the board, including an upgrade to the beta service/daemon architecture, as well as improvements to OS support, circle gestures, and robustness to cluttered environments. Plus, we have new APIs for 2D legacy applications, normalized interaction area, and obtaining Leap device information. Learn more. Pohung Chen is a creator of imaginary worlds. As a software engineer with Leap Motion, he explores new ways of interacting with the Leap Motion Controller and Unity3D. Last week, he posted some modifications to the SDK’s default UnitySandbox to showcase a series of physics toys – simple cube, toppling dominoes, seesaw, finger bowling, and cloth ripping. You can download the binaries for Pohung’s project on his project page. Navigate around the scene simply by “grabbing the floor” and dragging yourself around, and imagine new ways that you could integrate these incredible interactions in your own apps. You can discuss your ideas on Pohung’s forum thread. 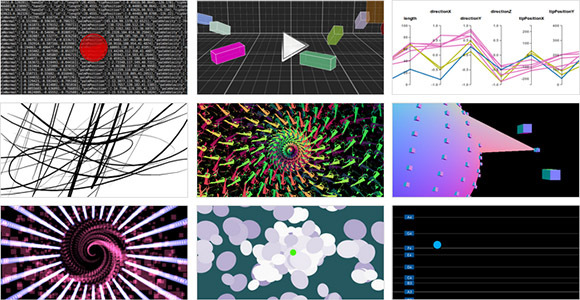 Our gallery of LeapJS examples continues to grow, with a gesture replayer, rainbow kaleidoscope, theremin, drawing apps, and more. José Pereda posted an excellent tutorial for using the Leap Motion Controller with JavaFX, with sample code and videos. 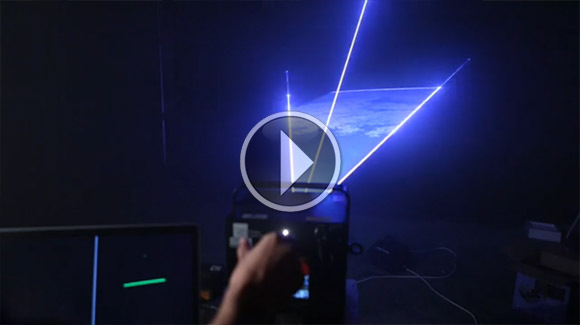 The Leap Motion Controller, real-time laser interaction, and Daft Punk. There’s really nothing more to say – just watch this video by Memo Akten from Marshmallow Laser Feast. One of the highlights of our SF MusicTech Summit appearance was Geert Bevin’s music app GeCo, which lets you translate subtle movements of the hands into various audio channels. Based on the old-school classic wire loop game, Cyril’s upcoming Java app BuzzWire rewards hand-eye coordination with lightning effects. Flow Studio shared some insights into how they designed the UI and tutorials for their game Sortee, complete with demo videos. 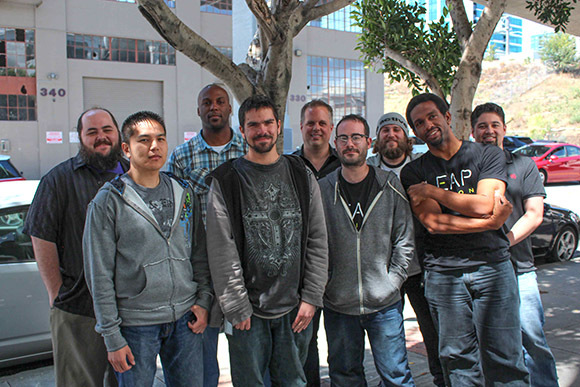 A couple of our team members will be among thousands of other developers at the biggest gaming conference on Earth. We hope to see you there. We’ll be exhibiting some creative uses for the Leap Motion Controller at this event hosted by the Gray Area Foundation for the Arts.